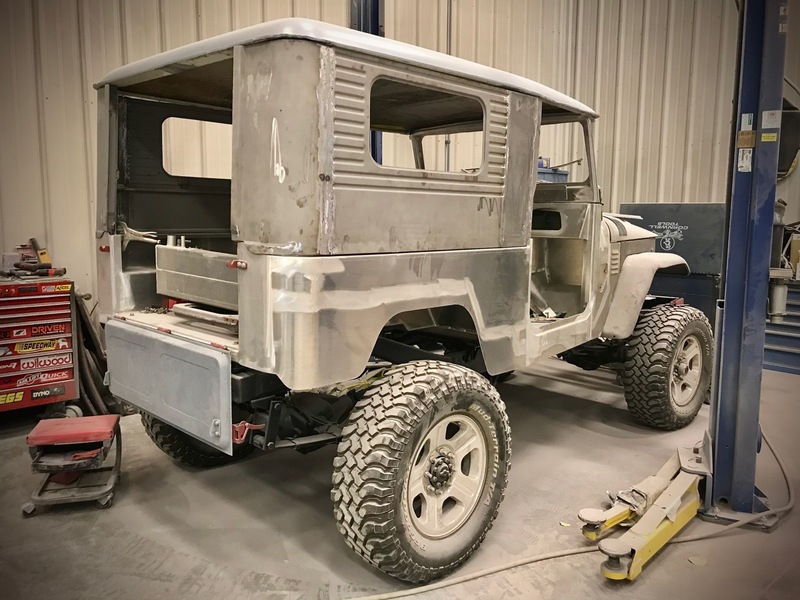 This vintage FJ40 has been stretched 8 inches in the frame and now we have the removable hard top modified to match the longer all aluminum body. 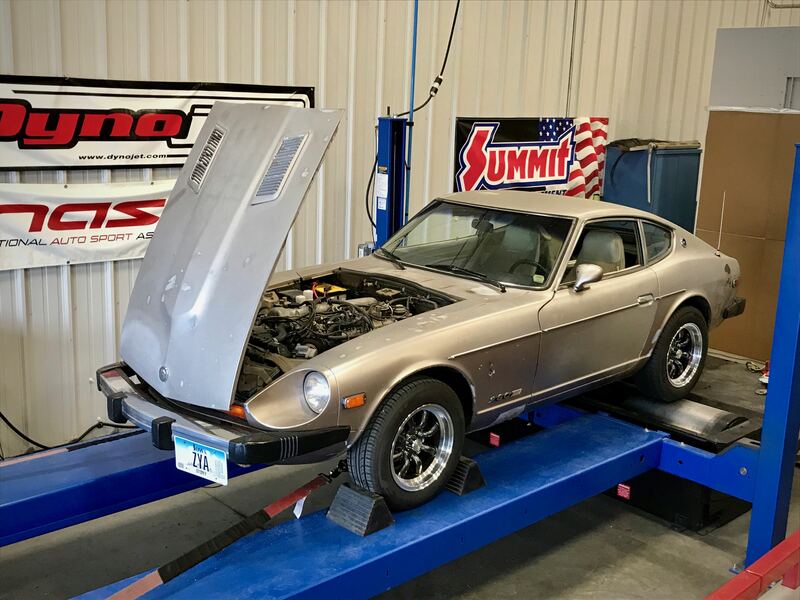 Local Datsun guru Ed brought his Datsun 280Z over for us to run his car on the dyno and gather information useful for tuning future 280Zs. He had spent years tuning this car by hand and the dyno showed that he had it spot on. 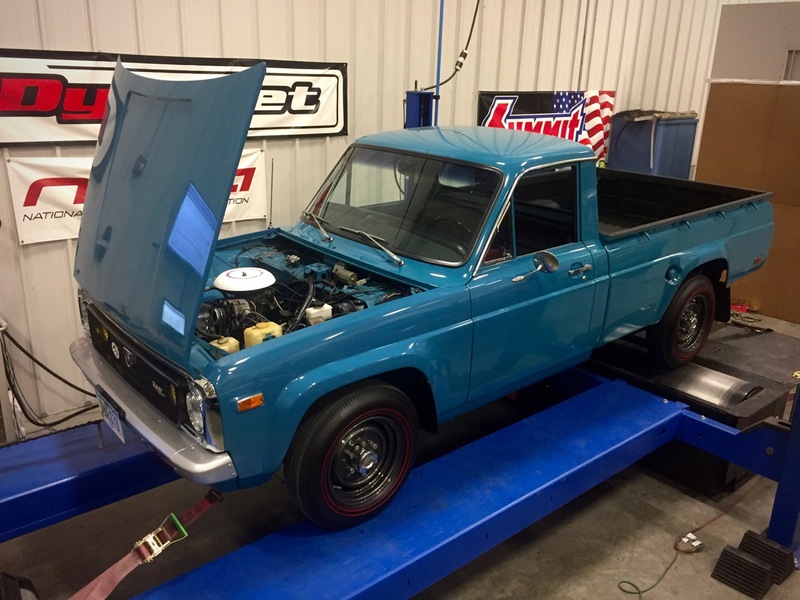 This vintage Rotary-Engined Pickup (REPU) is a restored example of the second generation Mazda B-Series pickups. The 1974 Mazda REPU was the first year for a rotary engine in a pickup which had a four-port 1.3-liter 13B four-barrel carbureted engine. 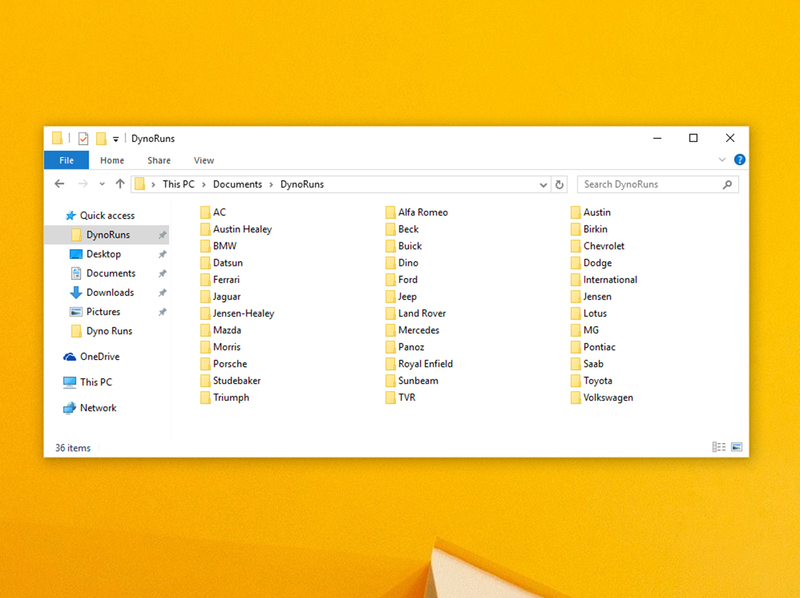 15,000 units were built. 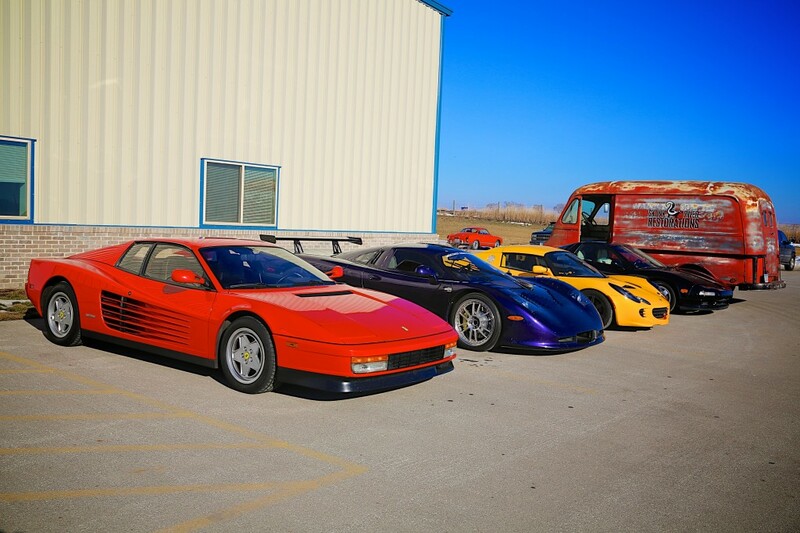 Thanks to everyone who stopped by on Saturday, especially the MidCoast Road Rally. It was so much fun to watch everyone try their skills on our remote control car race track in the back and give the Burgies Grumman Olson coffee truck a steady line of customers for it’s first time out of the garage. We have never had this many people or vehicles here at one time before. Have a mid-engined exotic that needs some TLC? 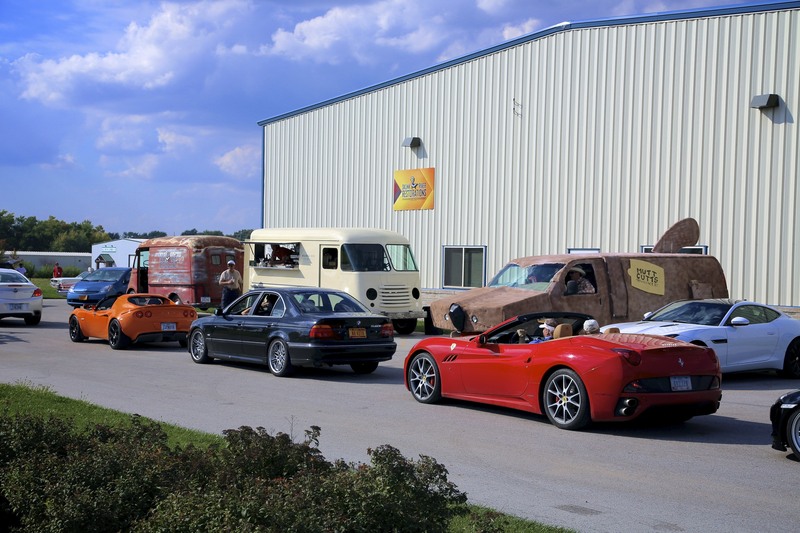 We currently have several in for body work, engine service, and interior restoration.